← Lame Adventure 140: To Read or Not to Read? I am illustrating this episode of LA with images of Christmas trees thanks to Francina, the shining light of the TSA who personally made sure that every traveler unfortunate enough to walk through JFK’s T5 Jetblue terminal Lane Eleven, her lane, to undergo passenger screening, suffered. 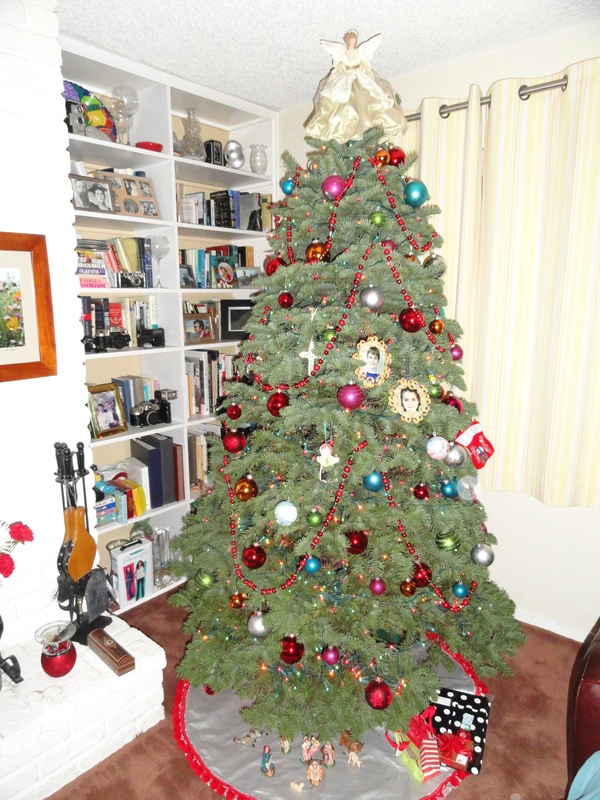 Had I taken photographs, I am certain I’d be spending Christmas in Guantanamo. 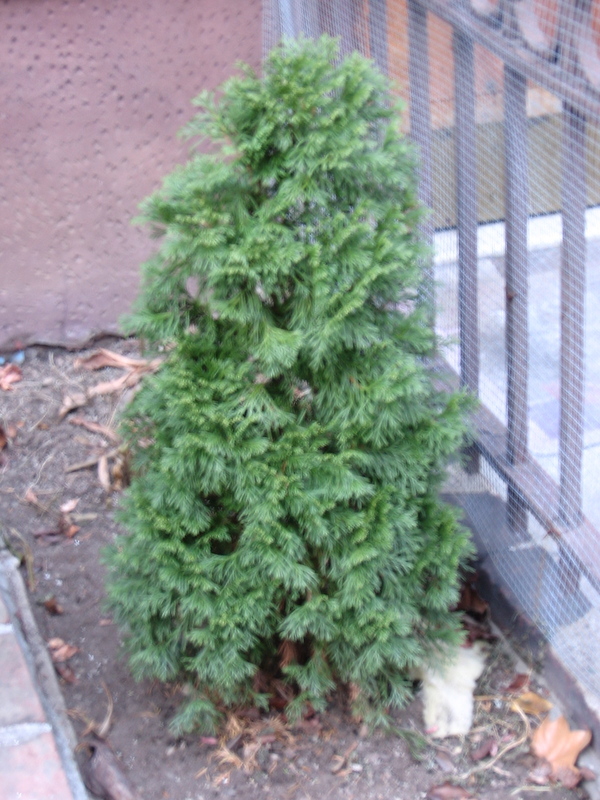 My brownstone's 2009 Xmas tree planted in front yard before heading to Rockefeller Center in 2040. Francina, a hardy woman built like an early 20th century fireplug, but with a less cheerful demeanor, was a meticulous screener. Nothing explosive, sharp, or shiny would possibly get past her. In that respect, we need thousands more screeners that share Francina’s level of attentiveness, but then we should also prepare to arrive at the airport at least half a day early instead of the suggested two hours. Her line creeped along in inches while passengers in lanes ten and twelve whizzed through at lightening speed. Stuck in Lane Eleven, I suffered stoically, but was relieved to see that no one was ordered to go through a scanner nor were they subject to a pat-down. 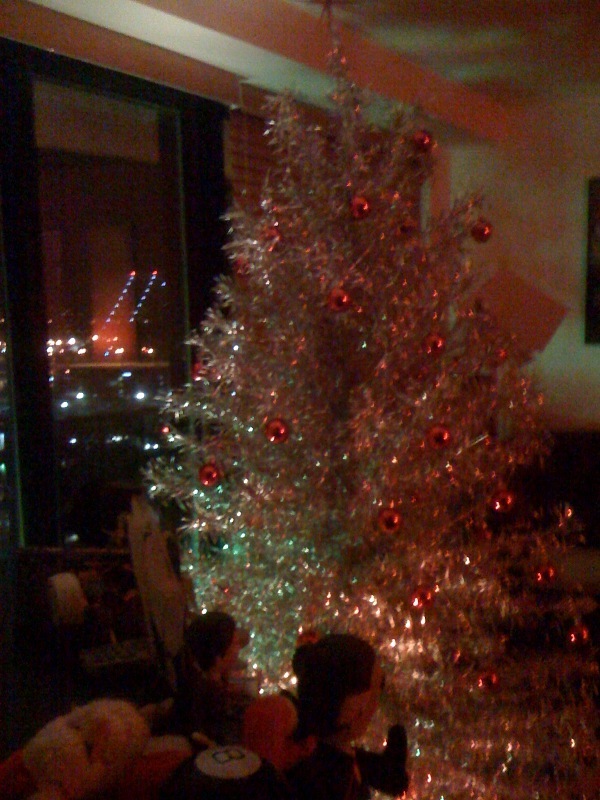 Martini Max circa 1960 Xmas tree courtesy of Reynolds Wrap. Then, the back-to-back wheelchair women arrived. The most effective way to leapfrog to the head of Francina’s lane is to arrive via wheelchair. The most effective way to ensure that the upright masses in Francina’s lane feel further punished is to subject them to waiting for Francina to screen anyone in a wheelchair. This process alone easily shaved a half hour off the clock. Me: I thought you were only allowed to carry on two. Look at this, they’ve unpacked the Winnebago. My brownstone's 2010 ornament collection with a spot of tree. Second Wheelchair Woman’s TSA assistant placed all of that traveler’s luggage, as well as her husband’s, ahead of mine. Their load filled both metal tables. Francina suspected their carry-on contained the weapons of mass destruction we could never find in Iraq, so she screened it repeatedly. Twenty minutes worth of solid screening. When I was finally given the clear to allow my duffel bag to go through, I noticed that Second Wheelchair Woman’s husband digging through his wife’s suitcase, full of pink clothing, as another TSA agent hovered. Eventually, they were cut loose – and then probably missed their flight. 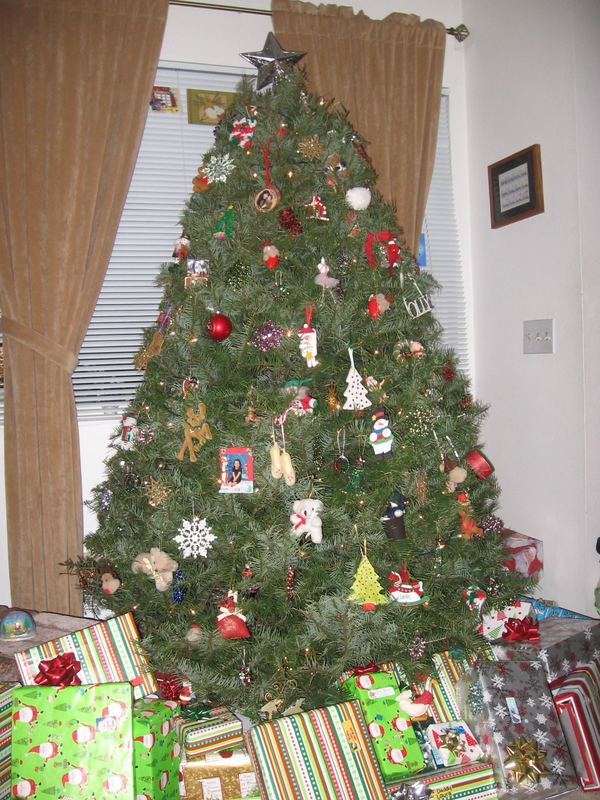 My sister, Dovima's perfect tree, that she finds light-deficient. Me: Yes! Home free at last! Francina (thinking): You’re dreaming, Bozo. Me (thinking): Digital cavity search here I come. Me: Do you think she has an issue with Macs? Patient and Calm Woman Behind Me: I have one, too. I think I’m gonna be subject to the same fate. Francina glared at me with complete contempt and then proceeded to elaborately swab my entire MacBook with a white disc that looked uncannily similar to a Tuck’s Medicated Hemorrhoid pad. Francina: You can go. Merry Christmas. I reached my gate five minutes before boarding. When my plane was wheels up, I felt immense relief even though I had to listen to the sounds directly behind me of an infant wailing across the entire country and a teenager vomiting incessantly into her air sickness bag. Those sounds were akin to a symphony when I remember the growl of Francina’s stern grade school principal voice. Bat Pat, best friend since college's, green thumb Christmas tree cut down by a decendant of Daniel Boone. 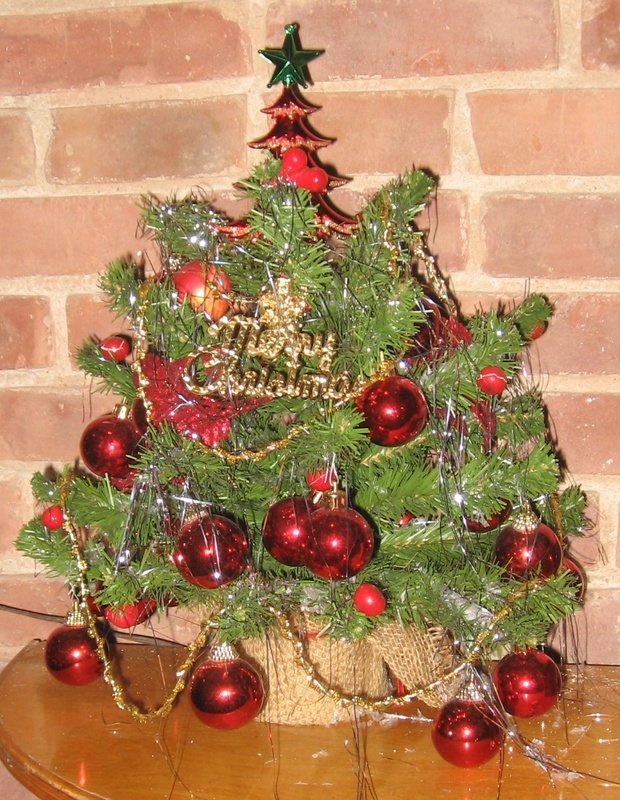 This entry was posted in Humor and tagged airport screening, christmas, christmas tree, tsa. Bookmark the permalink.